Former Arsenal and England ‘keeper Richard Wright has left new club Preston North End despite only officially signing on last Saturday (on his release from Ipswich), with the 34-year old citing homesickness after requesting to have his one-year contract terminated with immediate effect. “It might seem somewhat dramatic, but I have only been away from my home in East Anglia for a few days and I know already that I simply cannot live that far away from my family. “It takes a brave man to be honest in a difficult situation like this. Richard thought he could handle the separations from his family, but he has found it too much. League One, eh? It can do funny things to a man. Harsh to call this a fail. Would’ve been a fail to stay at PNE if he was unhappy and uncommitted to the club. Takes balls to admit your mistake and step away. 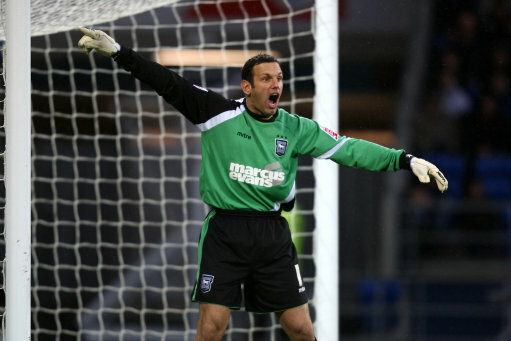 I remember when Wright was the future of England’s goalkeeping troubles. What the hell happened to him? sorry to nitpick, but if we’re talking arrested development, gob bluth makes “huge” mistakes, not big ones.